In this post-brand era, why would anyone join a denominational church? Many are blessed by what they are experiencing in the post-denominational “generic” church that dominates the church-going landscape today. If that is you, I am glad and genuinely celebrate with you your satisfaction in God. Many others, however, are longing for something more: searching for something “missing” in their Christian walk. Anglican Christianity is not about rigidity, ritualism, or being locked into any tradition, old or new, that is not rooted in Scripture and found in the great arc of God working through history. We aim for both the message and methods of Scripture and the earliest Christians. Now that you know what we are not, what are we? 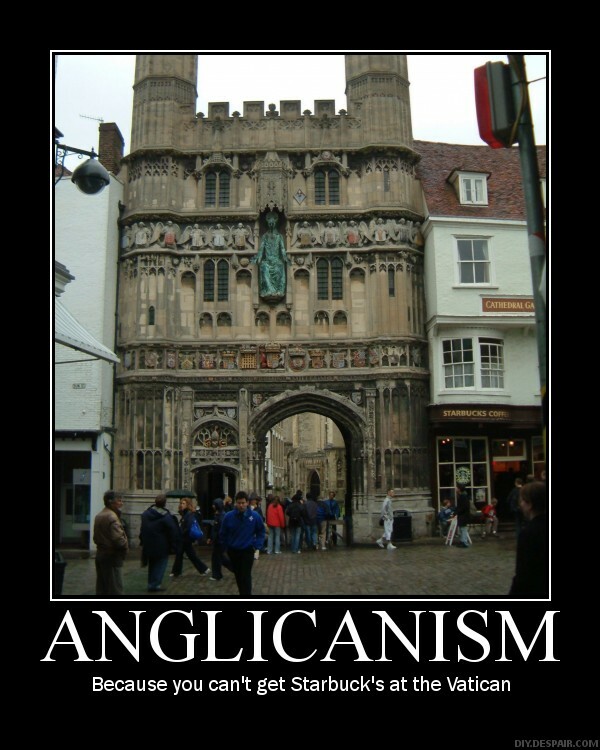 To begin with, Anglicans/Episcopalians are Christians. And Christianity is Christianity. However, Anglican Christianity is a unique and nuanced expression of the Christian faith. Protestant theology/catholic worship. This is where “Reformed Monasticism” comes in. The Episcopal Church embraces the theology of the Reformation with the worship practices and spirituality of the ancient Christians. By “ancient,” Episcopalians are not referring to the theological innovations and abuses of 1200-1500 C.E., but rather to the first 5 centuries of the church. That early period saw the New Testament written, confirmed which books would comprise the Scriptures, and developed the Nicene Creed which defines the Christian faith and answered the cults about the nature of the Trinity with a clarity that the faith still relies on today. That period also gives us a pattern of worship. That pattern dates from at least the early-100’s. Our worship is built around monastic rhythms of being immersed in and formed by the daily reading and praying the Scriptures together as a community (called the Daily Office), the weekly communal celebration of communion (called the Eucharist) and then living those rhythms out in the world to bring honor to God’s name and aid our fellows. You will notice that our words and actions in worship are God-directed rather than back and forth from stage to congregation. We both practice and are led by common prayer: “Common” is an old word for “shared”. Churches are always trying to figure out what banner to unify under. For some it is the beliefs of a person (like the Pope or Mark Driscoll), for some a doctrinal statement (like the Westminster or Augsburg Confession). Episcopalians are unified around the idea of being willing to pray the same words together…the words of Scripture and the “safe,” vetted words of the church until God works out our stuff in our own lives. That comes from our roots in England as being Catholics, Protestants and social Christians all in church together. Some long for the idea of “purity” and uniformity of belief in the church. History and experience tells us that theological uniformity is a mirage at best. Being unified around praying the same words is a value that is both holy and extremely difficult to live out. This can be very frustrating as there are often people with us that we think are a bit crazy. They tend to think we are a bit crazy back. But we are attempting to err on the side of generosity and give people room to “work out their salvation” in honesty and sincerity, not to mention “fear and trembling.” So we agree to major on the majors and give room on the minors. What are the majors? « Glimmers of Hope: Does going to church even matter? Love it. As a former transitional deacon in the Anglican Church, now attending a Methodist body, I consider myself a missionary to the Methodists! There is a small movement afoot toward more historic forms of worship (BCP), more frequent use of the communion table, etc. I’m covertly making myself a part of that at my little, rural church. I just finished a teaching series on the liturgical year, now moving into another on the sacraments. I gave a preview the other night, noting that some in our church don’t want more frequent communion because of the length of the liturgy. We demonstrated that it takes no more than four minutes! Many were quite surprised. I was at a church yesterday that does a 4 hour Easter Vigil. Apparently they have 2000 people that come so they do it in a local University chapel. Perhaps if we worried more about excellence of liturgy, artfulness and clear and powerful proclamation of the gospel we could worry less about getting our communions served in under 5 minutes. I grieve over what our generation is leaving to the next. Our motives are good-we want people to go to church. The lengths we have gone to in accommodating our culture is jarring. I am certain the Methodists are blessed by your missionary presence, Lee. Here is a great vid that I think is helpful and also sums up why I love being an Anglican Christian. Excellent video! The vicar makes a great case for the Protestant face of Anglicanism. We wiggle on justification by faith at great risk. I have great appreciation for the brilliance of Cranmer’s worship-focussed Reformation. Somehow, in America, we have allowed that to translate into the dropping of the Anglican formularies and the teaching of Scripture. I am fairly certain that was the opposite of what he had in mind.